The Lodge and Spa at Cordillera combines casual elegance with rustic Rocky Mountain splendor/ perfectly displayed in its luxurious textures/ natural hues and exquisite details. Set high atop a privately owned mountain/ with sweeping views of the Vail Valley/ The Lodge and Spa at Cordillera offers guests a truly magical resort experience. Grouse on the Green: The only authentic Irish Pub in the Valley this venue offers great views of the 9th hole of our short course and a different experience from the Lodge*s classic European feel. Mirador: With spectacular views of the Rocky Mountains/ Mirador tempts you with regional fare and seasonal specialties inspired by chef Asthon Fichtl. Garden Room: Able to comfortably accomodate up to 20 guests boardroom-style, the 378 square foot Garden Room serves as ideal executive meeting space. This room is private and intimate. Alpenglow Room: Measuring 713 feet, this meeting room seats up to 40 people for a theater-style meeting. Business Center: Light and bright, this meeting room comfortably accomodates up to 15 people boardroom-style or 24 people for a theatre-style meeting. Wine Room: The ideal setting for a small boardroom-style executive meeting accomodating up to 12 people. Located on 8/500 acres atop a private mountain/ overlooking the spectacular Vail Valley/ the lodge offers golf/ tennis/ and a Nordic Center on-site. 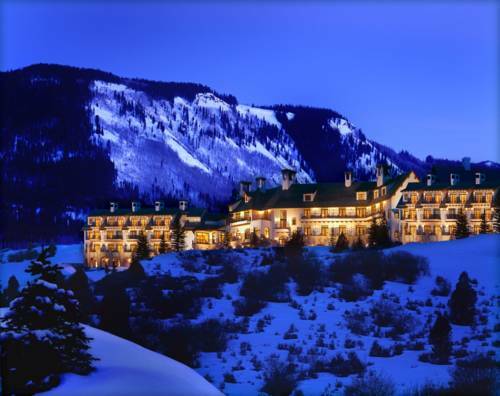 The Lodge and Spa at Cordillera is approximately a 20-30 minute drive from the ski resorts and shopping villages of Vail and Beaver Creek. Guests enjoy complimentary/ regularly scheduled shuttle service to both resorts.